It's a good problem: you have your skateboard for the park, your long board, your cruiser and maybe even a freestyle board...where are you going to put them all?! Good thing Store Your Board made this lightweight, sturdy skateboard rack that you can install in no time! You can see in the picture above that the rack is made up of two pieces, and comes with four screws and four drywall anchors. Pretty simple, right? 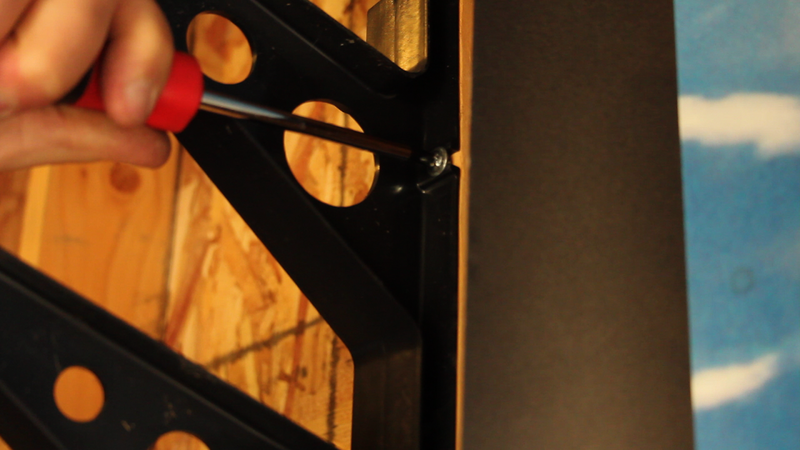 Skateboards can be heavy, so screwing this rack into a stud is going to be your preference. However, if you want to place your rack in a spot that is in between studs (you don't want to mess with the feng shui of your place after all), the drywall anchors StoreYourBoard includes with this rack are top noch. If you're using the anchors, find your spot and make your mark, then use a Phillips head screwdriver to screw the anchor into the wall. Hold the rack up, and screw into that anchor. Use a level for the rest of your anchor points and repeat the process until you're done. If you're going the stud route (like I did), the best way to find studs is to use a stud-finder! However, I've had bad experiences with inaccurate finders, so here's a couple tricks: start in the corner and measure out 16-inches -- there should be a stud there (knock the wall around the area and you should hear a difference in where a stud is located). Keep measuring 16-inches from that until you get to your spot. 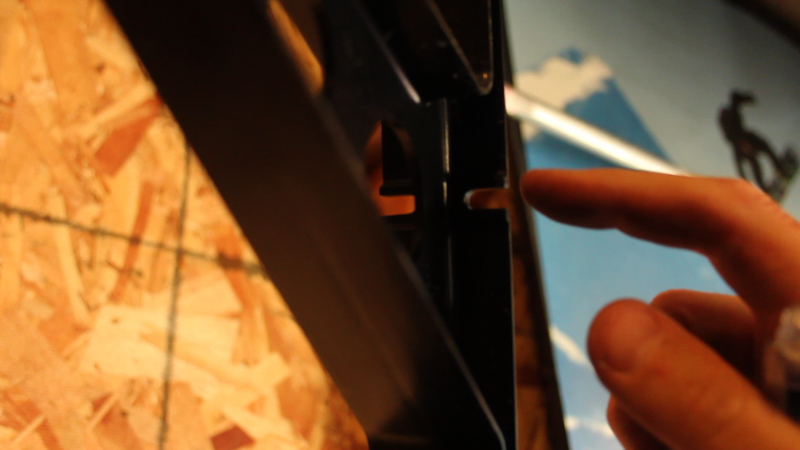 There are slots on both sides of each rack, which means more flexibility with where you want to screw them in. Once you've found the stud, use a drill bit that is slightly smaller than the threads of the screw you're using -- I used a 9/64 bit for these screws. Pre-drill your hole into the stud, drilling slow and steady (I recently broke a drill bit into the wall by being too hasty). See the knot I'm drilling into? If this was behind the wall, you wouldn't know it was there -- drill slowly! 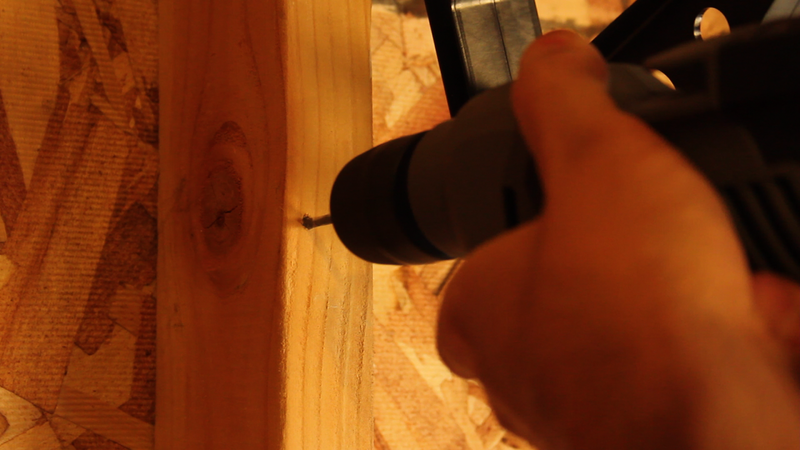 Drill the top hole first, and then screw the rack in, starting the screw by hand and finishing with a screwdriver. I wouldn't use a drill to screw this in since the rack is plastic, and if you're pre-drilling your holes, it shouldn't be too difficult to screw in without the extra power anyway. Leave this top screw a little loose, because once you've made the mark for your bottom hole, you can just swing the rack out of the way to drill your hole. Also, before you make your mark, use a level to make sure your vertical angle is straight. I left the top screw a little loose to help me mark the bottom hole. After you've drilled the second hole, screw it in, first by hand to get it started and then with a screwdriver. I ran into a small issue where I needed to unscrew the top one a little for the bottom to fit. If you need to do this, it's okay -- once you screw in both top and bottom tightly, it will be sturdy. Once you get this first rack in, use a level to make your mark for the second one. Repeat the process from the top down and you're done! This rack is great because it's light, flexible, comes with hardware that allows you to safely install into studs or drywall, as well as has a cool industrial look. It's even got a place to hang your helmet, and is also compatible with snowboards, scooters and rollerblades! Here's a video of the installation, and a longer video with a few of the problems that you could run into during installation. Show off your stuff and save space at the same time -- store your boards! !